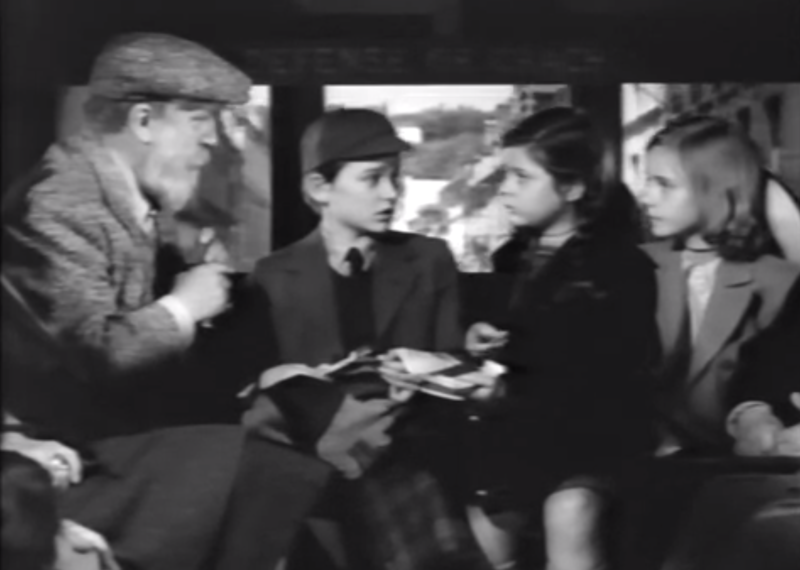 When the Germans invade France in 1940, a vacationing elderly Englishman (Monty Woolley) is asked to bring two children (Roddy McDowall and Peggy Ann Garner) with him back to London. Along the way, however, Woolley finds himself escorting more and more needy kids. 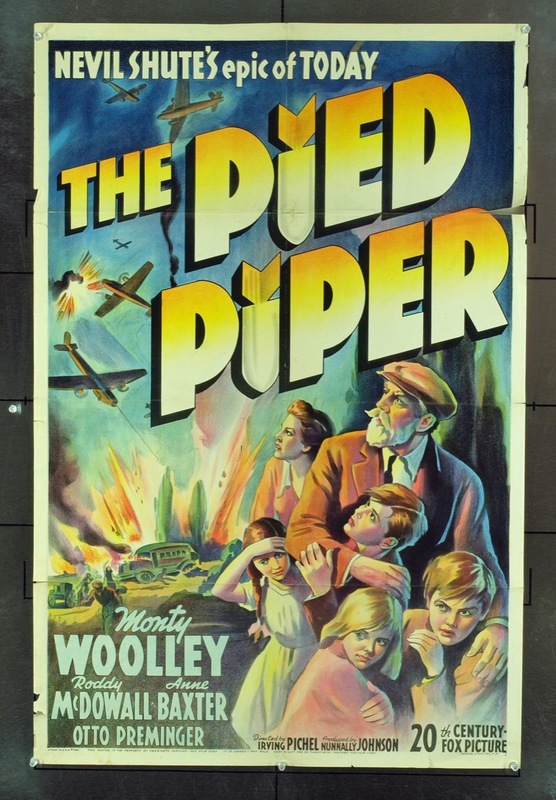 This warm-hearted adaptation of Nevil Shute’s novel — about an unlikely hero (Woolley) who finds himself shepherding a passel of kids through war-torn Europe — is more a fable than a realistic story; indeed, because it was clearly shot on Hollywood sound stages, one never feels as though the characters are in any true danger. 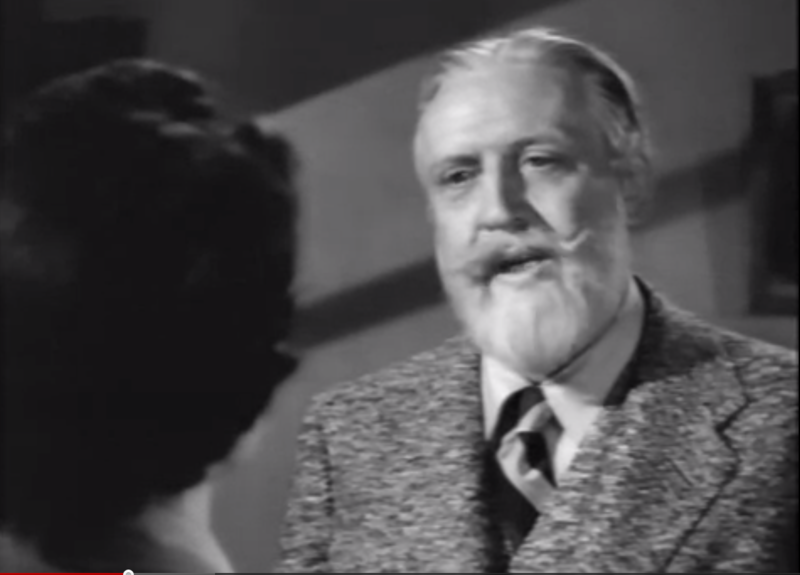 Woolley’s performance is the undisputed highlight of the film: he keeps things at a consistently humorous level. No matter how dire the circumstances he and his kids face (including death by Nazis), we know he will always stand up for his rights. I especially like his interactions with McDowell and Garner, both of whom show ample evidence of their natural ability as child actors. Yes, to see Woolley in his Oscar-nominated role. By their very nature, WWII films tend to be bleak and with little reprieve. ‘TPP’ also has its share of darkness but it also has a unique angle (as described in the synopsis) as well as an air of hope and strength in persistence. Interestingly, although this is ostensibly a film about children, the kids do not dominate the film. We learn only the basics about McDowall (who has the most lines of the children and is reasonably ‘humanized’) and Garner – generally, the children are simply rendered in their natural state as scared but resilient pawns of war. What does anchor the film is Woolley (who was Oscar-nominated for this as Best Actor). Woolley appeared the same year in the drivel that is ‘The Man Who Came to Dinner’ and his rather one-note character in that is a lot harder to stomach. In this film, he is similarly surly – but only early on. Woolley soon realizes the gravity of his situation and takes on an admirable sense of responsibility, with fewer complaints and with increasing dignity as the film progresses. By the time he ‘takes on’ Otto Preminger as his Nazi nemesis, he is virtually unshakable. Anne Baxter appears midway as a young Frenchwoman who eventually joins Woolley and the kids as they near the border of enemy territory. As I’ve noted elsewhere, Baxter is seen to her best advantage when she has a director willing to guide her. She is sufficiently controlled and effective here (perhaps because Irving Pichel was himself an actor as well; actor/directors often bring that something extra necessary to help certain performers). This is a modest film overall but it tells a gripping story economically. The two-minute conclusion, back in England, is charming and ever-so-British. Fave scene: Woolley and Baxter are speaking with Baxter’s father (J. Carrol Naish), who has much to say about the reality of those you can trust and those you cannot in wartime.